Elegant rooms and modern environments have special requirements. That's why you can revalue our 7, 4 " LANCOM wireless ePaper displays with a matching stainless steel frame as quickly as effectively. 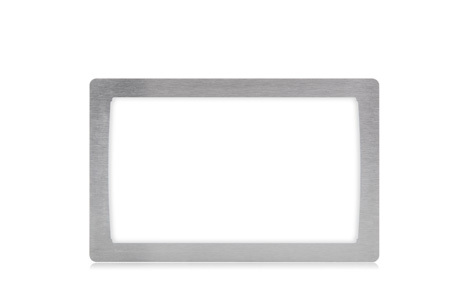 Use the LANCOM wireless ePaper premium frame 7, 4 "as a design element and look forward to the quality finish of brushed stainless steel.Due to its material properties, the frames are light and resistant. By deploying the LANCOM Wireless ePaper Premium Frame 7.4" your offices as well as your conference rooms are given a professional and high-quality look. This way, you stage your attractive room signage elegantly and present them as a true highlight.